SKS Athletics Heat Up the Month of December!!!! SKS Boys Varsity Basketball took the long road trip up to Hoosick, NY, on Saturday and bested the Hoosac School Owls 57-35. The Cougars pulled away from the home team in the second half, closing the physical game with a 21-3 run. Senior Kolby Braxton led all scorers with 24 points, but the story of the game was the tough man-to-man defense applied throughout by the visitors. In their game versus Marvelwood on Saturday, the boys JV squad played a strong game but fell to their opponent 34–41. Boys Varsity will face the Gunnery School at home on Wednesday, 12/12, at 3:00 pm followed by the JV team versus Faith Christian at 4:30 pm. 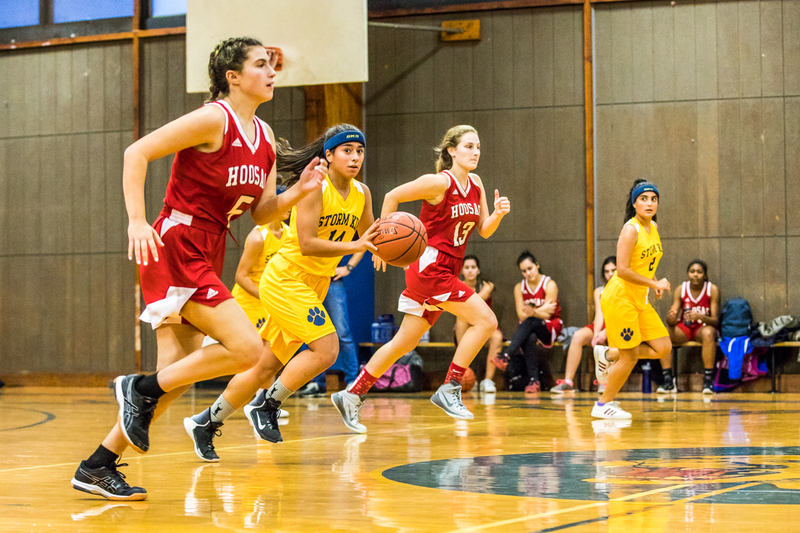 The girls varsity basketball team played host to the Hoosac Owls on Saturday. Despite a long bus ride, Hoosac came ready to play, with an aggressive offense from the opening tip. 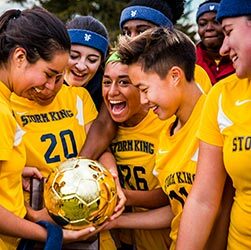 The Storm King girls shut them down rapidly and opened a substantial lead by halftime. Hoosac rallied late in the second half but was never able to catch up. Senior Cat Zheng put up 9 points, followed by her fellow senior Maya Buranbayev who posted 8 more. On Wednesday, 12/12, the girls will travel to Poughkeepsie to take on the defending HVAL Champion Faith Christian Academy. The Storm King wrestling team participated in the Skiff Mountain Scuffle tournament on Saturday at Marvelwood School. 8th grader Luke Ciunga placed 2nd in the 106-pound division. Freshmen David Moure Hernandez Coronado and Yu Sung Michael Hong both finished 4th in the 120 and 182-pound divisions respectively. Other strong showings came from sophomores Wanui Kim and Taylor Hall, and junior Noah Mendlewski. Next, our wrestlers will face Horace Mann Prep on Friday, 12/14.